Fish and chips is the ultimate classic British fare. And chippys are everywhere in London. 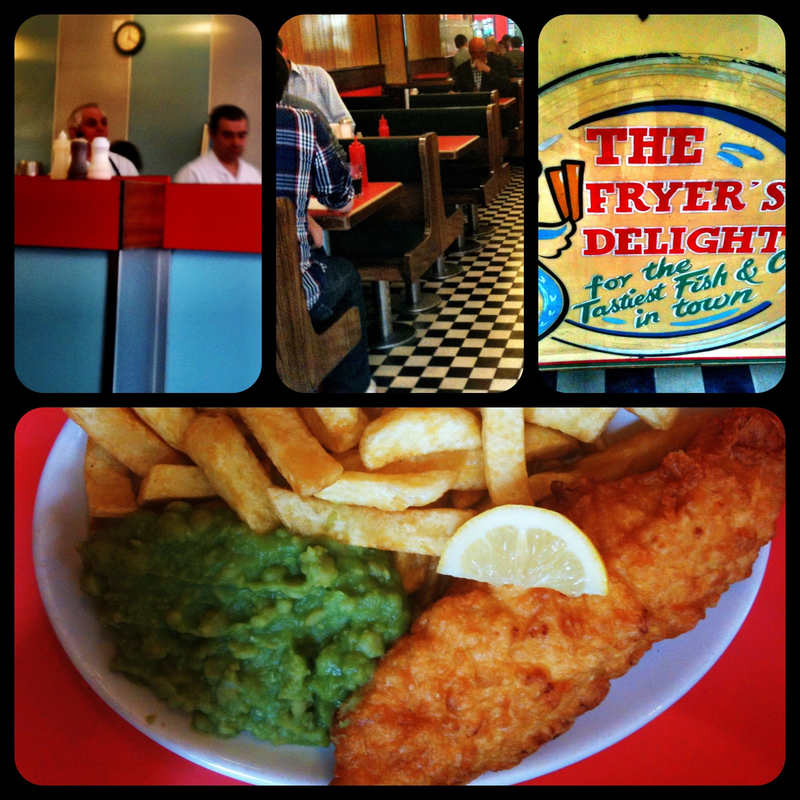 They all claim to be authentic, but some are of course better than others, and I think Fryer’s Delight in Central London near Holborn Tube station, is one of the best. The small shop is said to have opened in 1962, and it looks like little has changed since. With red formica topped booths for sharing, a black and white checked floor, and green sueded seats, the dated interior adds to charm. The staff is friendly and efficient, the portions are big and the prices are reasonable. Fried haddock or cod with thick cut fries, mushy peas and a drink will set you back around £10 ($16) and I found the food to be absolutely delicious. The restaurant has a definitively authentic feel. The booths fill up around lunch time with cab drivers and office workers, and there is a no-nonsense feel about the place. I’ve been told that if your food takes a while to come out, you can be sure its cooked to order and it will be fresher and better tasting, and if it comes out too fast, it might be re-cooked. So it’s worth asking to guarantee your fish is freshly made. There is no bathroom, but there is a pub around the corner that doesn’t seem to mind if you use theirs.